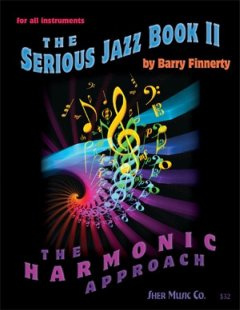 The Serious Jazz Book II: The Harmonic Approach by Barry Finnerty | Sher Music Co. Starting where his Serious Jazz Practice Book left off, guitar legend Barry Finnerty has created another woodshed classic for all jazz soloists. 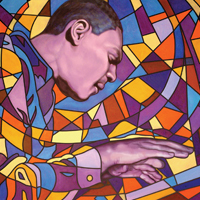 Recording artist with Miles Davis, the Brecker Bros., the Crusaders, Barry shows how to become a better improviser by melodically mastering the individual chords used in jazz, how they connect with each other, and how they are used in various song forms. What A ‘C’ Can Be which discusses all the possible uses and harmonic functions of a single note. Mastering The Changes which shows how to achieve melodic command of all the possible extensions and alterations of chords, and variations of common chord progressions. Playing On Tunes - The Harmonic Approach which shows the practical application of the harmonic knowledge presented in the first part of the book. Harmonic Vocabulary featuring a wealth of melodic examples using all the chords and progressions previously learned.